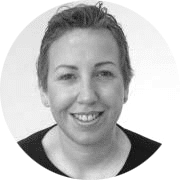 Sara has been running the award-winning Pure Perfection Clinic in North Wales for 10 years now. It is home to some of Cheshire’s leading experts in cosmetic dermatology. Founded by Sara Cheeney in 2008, the clinic provides a range of skin treatments – including wrinkle reducing injections, skin peels and dermal fillers – to help clients feel fabulous. Her business has been transformed by her partnership with ZO Skin Health – as she has seen the outstanding results ZO Skin Health has produced. This has helped Pure Perfection Clinic, which is located on the Cheshire border, become one of the best skin clinics in the region. Sara is a qualified nurse who is passionate about cosmetic dermatology and the positive impact it has on the lives of her patients. She has also been working with ZO Skin Health since early 2015, having attended exclusive seminars with world-renowned skincare expert Dr Obagi.